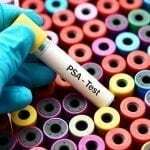 This CNN story reported on a study that found in a survey of Canadian workers, women who reported usually working 45 hours or more per week had a significantly higher risk of diabetes than women working between 35 and 40 hours. This was an observational study, incapable of demonstrating cause-and-effect, and so it’s inaccurate to state that longer work hours increased the risk of diabetes for these women or that working less would reduce that risk. The story is also on shaky footing when it advises women to “ask for a raise or get their partners to pick up around the house more” to prevent diabetes. Those statements are a huge stretch from what the study actually showed. Moreover, the story didn’t acknowledge the costs that women who implement these recommendations might incur — including lower pay, less job satisfaction, and long-term damage to women’s career prospects. Bottom line: Diabetes is a serious disease with a global health impact, and news reporting shouldn’t convey over-simplistic notions about how to avert it. 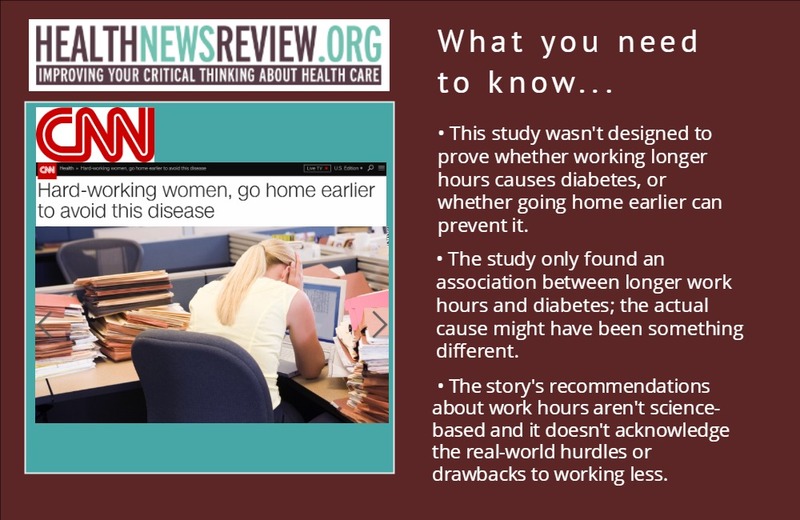 A headline telling women to “go home earlier” from work to avoid diabetes might draw a lot of clicks, but it’s not rooted in science.